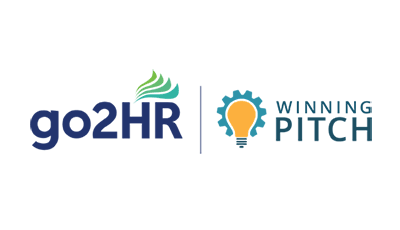 go2HR’s Winning Pitch is a competition where post-secondary students pitch business plans to develop a local tourism activity. The competition is an opportunity for the next bright young stars of the industry to apply their strategic thinking to come up with a tourism business or service idea based on a local, realistic scenario related to the support of the destination development in each host region. The competition sponsors, The Partners in Tourism Society and Destination BC, are supporting regional competitors in bringing new ideas to the table. Learn more about the Winning Pitch. Employers are invited to come watch the competition. This is a great opportunity to meet and speak with the passionate and insightful students behind the brilliant pitches, and perhaps even connect with some to adopt these ideas to your business! As part of the live audience, you can vote for your favourite business pitch, which will contribute to the overall score and help determine the winner. The winning team will receive $500 and move on to compete against other regional winners in the provincial competition at the BC Tourism Industry Conference in February. There will also be a free Networking and Nibbles (2:00-3:30pm) where employers can connect directly with the competing students, instructors, and faculty members from Vancouver Island University, North Island College, and Royal Roads University. Don’t miss this exclusive opportunity to meet top-of-the-class students for potential recruitment for your company! RSVP is required for the networking event. Please RSVP to secure your free ticket by end of day January 15. Have questions about the event? Contact Marie-Ève Masse.